"The team is not focused on dollars. time of day or day of week." and are responsive to our needs." On April 3, 2019, Ontario’s Bill 66 – the Restoring Ontario’s Competitiveness Act, 2018 – received Royal Assent. Bill 66 amends 17 pieces of legislation, including the Employment Standards Act, Labour Relations Act, Agricultural Employees Protection Act, and Pension Benefits Act. The stated intent of these amendments is to reduce red tape and the regulatory burden currently placed on employers. Canadian Lawyer InHouse Innovatio Award to OPTrust and Sherrard Kuzz LLP! Each year we are happy to host law students interested to learn about employment and labour law. 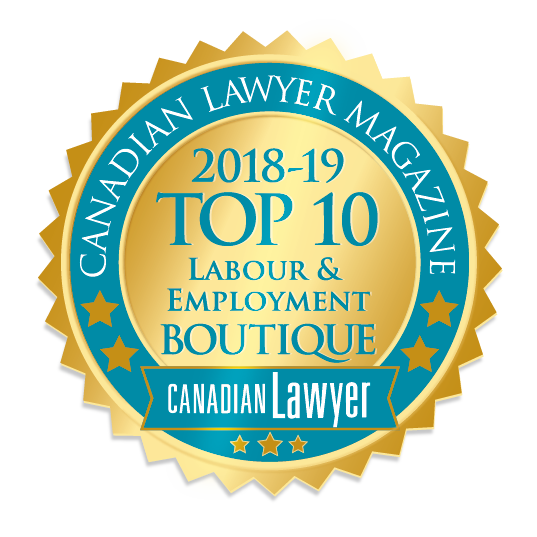 If your law school has an employment and labour club (or equivalent), and you’d like to organize a visit, please contact our Managing Director, Rhonda Cohen, at rcohen@sherrardkuzz.com or 416.603.6243. We look forward to meeting you! The articling and summer student program at Sherrard Kuzz LLP is intense but fulfilling. Students participate in a dynamic firm in which outstanding work, client service and a rewarding collegial environment are paramount. Sign up to receive our Management Counsel Newsletter, Briefing Notes and Invitations to HReview Breakfast Seminars and Conferences.